Discount SunLite 32 Deluxe Home Tanning Bed + Free Shipping! Looking for the ultimate tanning bed luxury experience in your own home? If you are, you have definitely found the right tanning bed. Imagine being able to relax in a broad and cozy tanning bed with plenty of room? Now imagine that you get your own pillow and protective eyewear that come with the tanning bed. And imagine that you get $100 of premium tanning lotion for free to use. And if you get too hot, you can always turn on the cooling fan. Don't worry about getting bored, either, since you will have your own built in MP3 player to provide you with some music. You can actually have all of that with the SunLite 32 Deluxe Home Tanning Bed. Its many features are so fun they might almost make you forget about how functional this bed is. The 32 - 100 Watt bulbs do an excellent job at evenly tanning your skin, and they are so powerful that you need lie in the tanning bed for no more than 12 minutes to get an amazing tan. That's another advantage for you because you have to spend less time tanning than you would in a less powerful tanning bed. The designers have also tried to make this tanning bed more visually appealing by decoratively covering up its legs. Considering all of its many advantages, we can totally see why you are excited by this deluxe tanning bed. Having it would mean you could avoid the unnecessary travel of getting to and from the tanning salon and save you money in the long run on having to pay monthly fees. Warranty Period: SunLite INDUSTRIES warrants the SunLite 32 Deluxe Home Tanning Bed, provided it is still owned and operated by the original purchaser, to be free from defects in material and workmanship under normal use and service, for a prorated period of twelve (12) months from the date of delivery to the original Purchaser. What is covered: During the warranty period as specified above SunLite INDUSTRIES will replace any defective system or component of the SunLite 32 Deluxe Home Tanning Bed, at SunLite INDUSTRIES' sole discretion. 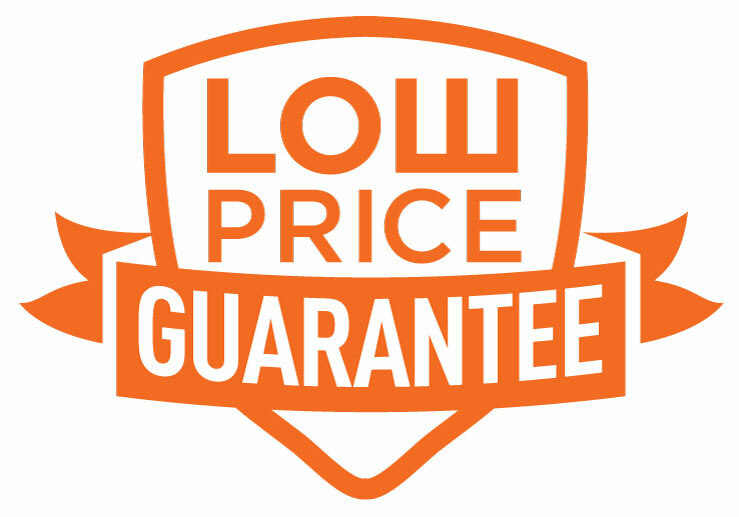 The Purchaser shall be responsible for the difference between the cost of a new SunLite 32 Deluxe Home Tanning Bed or component and the prorated value of the defective system or component. Prior to making any repairs SunLite INDUSTRIES will advise the Purchaser of the nature of the problem and the cost to the Purchaser based on the proration of the defective system or component. I. Tanning units, parts or components damaged in transit where SunLite INDUSTRIESﾒS damaged goods policy is not followed by purchaser or purchaserﾒs designee. This warranty does not apply to any failure of product due to alterations, modifications, misuse, abuse, neglect, accident, improper maintenance or installation, use of parts not supplied by SunLite INDUSTRIES, failure to operate and use the product in accordance with the instructions provided in the Ownerﾒs Manual supplied with the product or failure to otherwise meet manufacturerﾒs specifications, or if the serial number has been removed, altered or defaced. Procedure for Requesting Warranty Work: In the event of a problem covered under this limited warranty, the customer must first contact SunLite INDUSTRIES and obtain a Returned Goods Authorization for SunLite 32 Deluxe Home Tanning Beds to be repaired or replaced at SunLite INDUSTRIES' discretion, provided product(s) are returned freight prepaid to SunLite INDUSTRIES. SunLite INDUSTRIES will perform its obligation within thirty (30) days from the date of SunLite INDUSTRIES' receipt of the Purchaser's authorization to effect repairs and acceptance of the cost of repairs based on the prorated values of the defective systems or components. Any payment due from the Purchaser shall be payable in full prior to SunLite INDUSTRIES' return of the repaired system or component. Any product being returned to SunLite INDUSTRIES for repair or replacement must be adequately packaged to prevent freight damage and shipped via traceable method. Right to Modify: SunLite INDUSTRIES reserves the right to make changes or improvements to the SunLite 32 Deluxe Home Tanning Bed without incurring any obligations to similarly alter products which have been previously purchased. Exclusivity of Warranty: This warranty is the only warranty made by SunLite INDUSTRIES and may only be modified or amended by a written instrument signed by a duly authorized officer of SunLite INDUSTRIES. SunLite INDUSTRIESﾒs sole and exclusive liability and Purchaserﾒs sole and exclusive remedy under this warranty shall be, at SunLite INDUSTRIES' option, to repair or replace, to the extent available on a prorated basis, any such defective Products. These remedies are available only if SunLite INDUSTRIES' examination of the SunLite 32 Deluxe Home Tanning Bed discloses to SunLite INDUSTRIESﾒs satisfaction that such defects actually exist and were not caused by Purchaserﾒs misuse, abuse, neglect, improper installation, maintenance or testing, alterations or modifications, failure to meet manufacturer's specifications or any other cause beyond the range of normal usage, or by accident, fire or other hazard. Repair or replacement of a part does not extend the warranty period or extend the prorated value of a part or product beyond the initial two year limited warranty period from the date of delivery. THE WARRANTY SET FORTH ABOVE IS IN LIEU OF ALL OTHER WARRANTIES, EXPRESS OR IMPLIED, INCLUDING BUT NOT LIMITED TO ANY IMPLIED WARRANTY OF MERCHANTABILITY OR FITNESS FOR A PARTICULAR PURPOSE. IN NO EVENT SHALL SunLite INDUSTRIES BE LIABLE FOR ANY INCIDENTAL OR CONSEQUENTIAL DAMAGES WITH RESPECT TO THE PRODUCTS DELIVERED HEREUNDER OR SUBSEQUENT USE THEREOF. Limitation of Liability: SunLite INDUSTRIES shall not be liable for any loss, damages, or penalty resulting from failure to perform any of its obligations under this Agreement due to force majeure or any cause beyond its reasonable control. SunLite INDUSTRIES LIABILITY UNDER OR FOR BREACH OF THIS AGREEMENT SHALL NOT EXCEED THE REFUND OF THE PURCHASE PRICE LESS REASONABLE RENTAL FOR PAST USE. IN NO EVENT SHALL SunLite INDUSTRIES BE LIABLE FOR COSTS OF PROCUREMENT OF SUBSTITUTE GOODS BY THE PURCHASER OR FOR UNAUTHORIZED REPAIRS UNDERTAKEN BY THE PURCHASER WITHOUT SunLite INDUSTRIES PREVIOUS WRITTEN APPROVAL. IN NO EVENT SHALL SunLite INDUSTRIES BE LIABLE FOR ANY SPECIAL, CONSEQUENTIAL, OR INCIDENTAL DAMAGES, HOWEVER CAUSED, WHETHER FOR BREACH OF WARRANTY, NEGLIGENCE, OR OTHERWISE. SunLite INDUSTRIES DISCLAIMS ANY OBLIGATION OR LIABILITY FOR LOSS OF USE OF THE SunLite 32 DELUXE HOME TANNING BED, LOSS OF TIME, INCONVENIENCE, RENTAL OR SUBSTITUTE PRODUCTS, LOSS OF BUSINESS, LOSS OF INCOME, COMMERCIAL LOSS OR ANY OTHER DIRECT, CONSEQUENTIAL, SPECIAL OR INCIDENTAL DAMAGES.